The MAS (Museum Aan De Stroom) was established in 2011 to tell the story of the Belgian port city of Antwerp. The architecture of MAS merges modern design with the traditional appearance of a warehouse. Because of this, the museum blends right into the historic city. 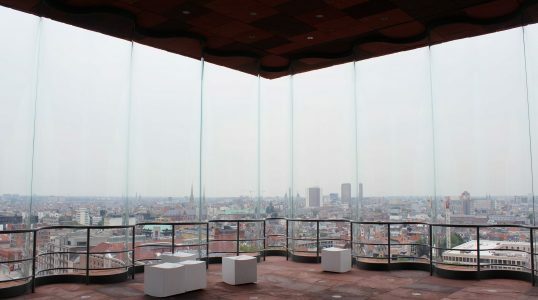 From the top of the tall structure, visitors can see a great view of the city around them.